So you want to make #moneymoves in uni this year? It was on every goals list I had in uni – save £xxxx, spend less, don’t go out as much – but alas, things never go as planned, or do they? Here are 5 ways you can get ahead financially this school year. CANCEL: You’ve just come out of summer, and more recently freshers week which can only mean two things – 1) you’re still alive and made it through all the madness going on in the world, thank God! 2) you’ve probably signed up for a lot of things you’re hardly going to remember. From gym memberships you haven’t used since February because ‘you had exams’, to £1 Cosmopolitan magazines you don’t even realise you’re signed up for, to Amazon prime who keeps wooing you in. You’ve got one word – cancel. Deactivate. Remove membership. Delete. Unsubscribe. Do it, and do it now. When I hit rock bottom and had to really look at my bank statement and what was eating up all my funds, I found subscriptions had a big part to play in it. Why was I signed up to both Apple Music AND Spotify? Or the gym at home when I clearly spent 9/12 months in uni? And why was Amazon charging me £10 every month when I only bought 3 books the whole year?! I cancelled it all. Yup, I even decided I could do ads and chose Spotify freemium over Apple Music. A little over £100 was how much I saved. £10 sounds little until it’s multiplied 10 times more here and there. Do a thorough review of your subscriptions and begin to cancel. CUT IT, CUT IT, CUT IT: (I see you dancing to the song, Billy, I see you *? *) Tesco credit card ✅, M&S Credit card ✅ , Capital One credit card ✅ , TSB Credit card ✅ – all of them, one person. Haba? When it comes to credit cards, it’s all fun and games until the bank sends your statements and you can’t even open it because you’re afraid of whats inside. ? Your bill is way too high, you need to cut it. You don’t need more than one, really you don’t. Perhaps you don’t even need one at all, (I’m looking at all the shopaholics and hoarders). All the plastic is not adding anything other than debt. If you can’t afford your credit card bill right now, you need to O.T. Genasis it out and cut it. Emergency fund: We’ve all had those days (and nights) where we could’ve done with an extra £20. Whether you’ve been stranded on a night out or you really needed help financially, an emergency fund comes in just for that – emergencies. A tenner here and a fiver here would go a long way when you really need it. Fun way of doing this is doing it the old school way – piggy banks. Go to your nearest Poundland and get yourself one, or a regular jar if you’re too cool. Throw in every spare change you’ve got and your future self will thank you later. At the end of each month, take it out and put it in a different bank account and start all over again to keep you motivated. EBAY IT: Surprisingly, (or not) most university students have more stuff than they need. From all the ‘going to uni’ gifts from mum and dad, to all the freebies you get at freshers week, to all the ‘sale’ items they never really wore (and therefore shouldn’t even have bought it in the first place). We’ve all got a bit of baggage, but you especially don’t notice it when you’re at university. There’s always that one jumper you bought you thought you loved at the time but today can only be found at the bottom of your drawer. Along with all the other ‘I’ll wear this someday’ tops and jeans. Best option: eBay it. You’d be surprised at the number of people who would want to buy your ‘vintage, limited edition Topshop jeans, Size 8. Barely worn.’ For £15. At this point you should know that every penny counts and so selling many items at very little prices actually equals big paychecks from eBay to your PayPal. So start taking pictures and listing all your items, your customers await you. CONTENTMENT: Bet you weren’t expecting that, were you? Truth is, one reason I spent more money than I should at university was that more times than not, I was not being content. Enough is all you need. You don’t need every new bag from Chanel or every new BAPE hoodie because Jimmy and Lily got them. Be grateful for what you have. Gratitude makes you realise just how enough you’ve got. It may not seem like much, but if enough is all you have, then it’s all you need. How many more things can you add to this list? 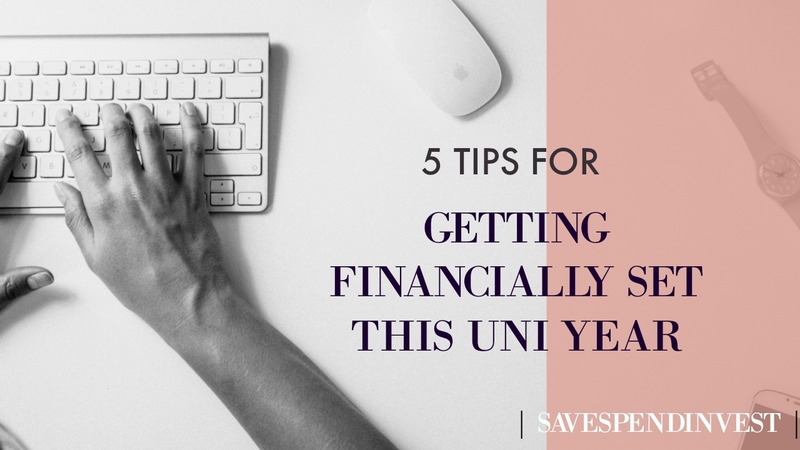 Whether you’re out of uni or in uni and have some more money secrets a fresher needs to hear, please share it in the comments below! Pass this on to save a #UniFresher by sharing it with your friends! All the best this term, and in the coming year. I’m rooting for your (financial) success.